Hello and welcome to the website of Louisiana Spirits Paranormal Investigations! We are a serious group of professional and analytical individuals, dedicated to the investigating and research of paranormal activity. If you, or someone you know, are dealing with paranormal activity in your home or business, please contact us! All of our services are free of charge and remain confidential unless you give consent to publish our findings. 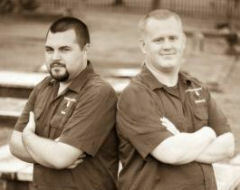 Hello, we are Brad Duplechien and Brandon Thomas, Founders of LaSpirits. We strive to be the premiere paranormal investigative group in Louisiana. We created this group not only to seek answers for ourselves, but to educate and assist others in a field that is respected by few, yet intriguing to all. If you have any questions or need any help, please contact us! 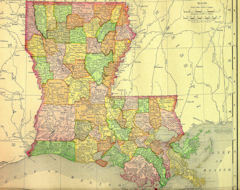 We are proud to be the only paranormal investigative group in the state that regularly covers every inch of Louisiana! By being divided into six fully functional and self-contained chapters, we can easily dispatch a team to any location in the state. Boasting one of the largest caseloads of any group in the country, we are proud to be Louisiana's oldest and most structured investigative team with a reputation that is second to none! We provide confidential and professional services to our clients consisting of quality investigations, detailed reports, and courteous follow-ups, putting our referral system in a league of its own. We are proud to announce the launch of GeoSpirits: an interactive mapping system "For you, BAYOU"! View nearly 3,000 reportedly haunted locations across the United States in their exact geographical locations. Can't find a location, submit your own to be added! Click below for more! Click below to join the social media craze and follow us on Facebook, where you can stay up to date on all the latest news, events, and investigations! 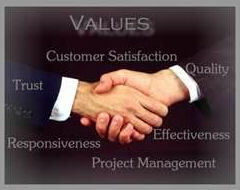 Be sure to "like" us! Click below to check out LaSpirits' Founder, Brad Duplechien's, book, "Paranormal Uncensored: A Raw Look at Louisiana Ghost Hunting." This book is one of the few out there that combines paranormal investigating basics, haunted tales throughout Louisiana and the plethora of drama and dirty tactics that take place in the field. Get your copy today! After years of research, Haunted Nation has been created and consists of detailed blog entries of haunted locations throught the country. New locations are added on a daily basis, giving you an in-depth look at some of the most fascinating and intriguing paranormal hotspots around! Consider this to be GeoSpirits on a massive dose of steroids! Click below to visit. -Be sure to visit our new Haunted Nation blog!